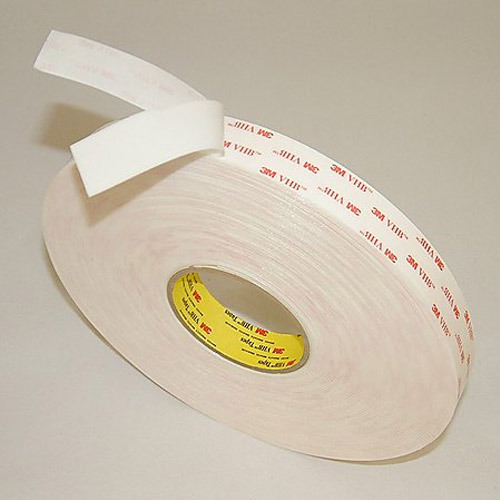 Backed by our highly skilled and experienced professionals we are offering our clients with the best range of 3M VHB Tape at an economical price. Incorporated in the year 2000, we, “Supreme Industries”, holds a leading position in Manufacturing and Trading of a wide range of Polyester Tape, Foam Tape, Adhesive Tape, Packaging Tapes, and Double Sided Tape, etc. These products are fabricated using premium quality raw material which is acquired from our trustworthy vendors and latest technology in compliance with international quality standards; they are manufactured for a wide range of applications in various sectors like electrical, electronics and industrial applications. Our product range is highly appreciated by our clients for varied features like high durability, well-made construction, dimensional accuracy, superior quality reliable performance and prolonged service life. Our offered products have gained huge appreciation by clients and they can avail these adhesive tapes from us in various specifications and at competitive price range. We are committed to offer a superior quality product range to our clients. In order to maintain quality consistency in our offered range, we have adopted the most recent production technique. At our quality checking unit, we strictly inspect our entire range right from the procurement of raw material till the final dispatch of the product. Being a client centric company, all our endeavors are directed towards attaining the maximum client satisfaction. Our continuous efforts and dedication has created a niche in the global market. To suit the individual demand, we offer our products in different shapes, size, etc.